“The Moon is full in Virgo at 6:21 p.m. UT on 22nd February. Occurring as Jupiter retrogrades across the solar eclipse degree from 13th September 2015, this Moon illuminates in fullness events of the past five months, their complex tapestry woven through our lives in ways that may have been hidden up to now. “Life, in all its often hectic confusion, can sometimes feel like a million individual plates we must keep spinning simultaneously or risk unbounded chaos, when in fact its disparate parts are simply many faces of the One that animates our being. “We are one life, all of us. What happens outside and around us occurs also within and through us. The notion that things happen to us and we must respond is a distorted reflection of being. Instead it is we who happen to life – in all our glory – creating the world as we go. “We may feel great resistance to the message of this Moon, for she places vast responsibility at our feet which could feel like blame if we’re not careful. “Her light illuminates our role in every moment of our lives: the creative power we bring to every breath and each event. “She sees no victims, no fate, not a single moment of bad luck or good fortune, only ourselves as whirlwinds of light and dark, energy and entropy, action and reaction, movement and rest. “She reminds us we are shaped from the very stuff of stars, formed from the building blocks of the universe, born of infinity and eternity, boundless presence and sacred source. “She asks that we let go the tiny mind which traps us in me and you, good and bad, unlucky and favored, and the myriad ways we reduce the vast spectacle of infinitude into a manageable equation to quell our fear. “This is a challenging Moon, but also a comforting one. Which face we encounter will depend largely upon our focus. “If we allow our minds and hearts to be absorbed in thoughts and feelings of loss, regret, disappointment, recrimination or blame then we may struggle now, sensing that life is so far beyond our control that any effort to continue on is lost in the chaos of life out of balance. “If, however, we open our hearts to the cooling rain or warming sun, the subtle movement of the seasons who, in following their own nature remind us how to follow ours, we will find support from Mother Earth herself. “For as she hurtles through the void without hesitation or hubris she is our greatest source of strength, playing her vital role in conscious evolution whilst willing us to do the same. “Any stresses of this Moon will be greatly eased by the recollection that we are all children of the universe, born of this one, bounteous planetary mother who meets our every need. All identities and personas, alliances and oppositions melt to nothing in the face of this knowing. “This beautiful Moon reminds us that in essence and beyond it all, we are simply a force of nature like the tides and the wind, hot larva and the burning sun. “But in all things, the human instinct is to tame and control, exploit and oppress. We do this to ourselves and each other, fearing our raw power, overwhelming emotions, lust, rage, love and fear. “We objectify first, disconnecting from our collective heritage, and then judge, shape and control, be it our own feelings, other people or Mother Nature. Nothing is safe from use and abuse when we withdraw our own energy from it, perceiving it as other than ourselves. “This Virgo Full Moon urges reversal of this trend, to look first within and then without, to see how we have divided and disenfranchised so many expressions of sacred source. “These are challenging times and we must find new and innovative ways to navigate its often choppy waters. But they are also times of rebirth and renewal, deep wisdom, transformational insight and life potentised anew. “Virgo has a tendency to get lost in the minutiae and to prize logic over intuition. But during this lunation, psychic impressions and nebulous feelings threaten to overwhelm Virgo’s microscopic approach. “Widen the lens, recognize that there’s a bigger picture. Remember to go with the flow and allow for fallibility or weakness without feeling like it’s all falling apart. “The Moon is the focus of a Thor’s Hammer pattern with the waning Uranus-Pluto square at its base. The two sesquiquadrates to the Moon suggest that over-reactions are possible and you may be tempted to rip into your handiwork because it wasn’t what you wanted, anticipated or expected. “Turn things on their head to see them in a new light before casting away what you’ve done. “Neptune can generate victim consciousness, a feeling of ‘I can’t fix this’. Perhaps it’s less about ‘fixing’ and more about accepting. “Do not project out into the future. You are not there yet. You can scare yourself with the ‘What if’s.’ Stay present. The past is history. The future is a mystery. The present is the gift. Your power and effectiveness are in the now. “Here, it’s an invitation to surrender limiting Virgo daily habits, mental loops, and criticizing judgments, and let Pisces’ gifts of imagination, intuition and relationship to the great mysterious, feminine void flow through you and reorient your perspective. “It’s been months since our last contact with the water element (November/Scorpio), and our souls are thirsty for nourishment and a dive into the intangible, emotional realms of Pisces before the rebirth of fiery Aries energy at Equinox a short month away. “Neptune and Pisces are definitely the guides of this Moon. Expect an undertow of the lyrical, dreamy and intangible pulling you toward your inner, divine nature. Your soul may feel a deep thirst to partake of the poetic, artistic and imaginary worlds. Dreams are strengthened in Pisces. “What surfaces for the next month as we traverse the degrees of Pisces is our compassionate, selfless nature willing to serve. Neptune, in its own sign Pisces, is conjunct the Sun ~ so much watery, emotional energy. “Surrender is the secret password here. Ceres, asteroid ruler of the nourishing gifts of the Earth, is also with Neptune and the Sun accentuating our desires to live in balance with our planetary mother and to honor the rituals and cycles of birth and death, fertility and barrenness. “Virgo and Pisces are signs of devotion and magic, all along the spectrum from the worldly to the otherworldly. “What’s outstanding here is that at 4 degrees, the luminaries are intoxicated — and enchanted — by Neptune (in Pisces). Neptune relates to the imagination, and to the phenomenon of breaking through our own frames of perception to something beyond. “The dreams of Neptune, or our own authentic eternal selves, have to make it past the gatekeepers within (beliefs). 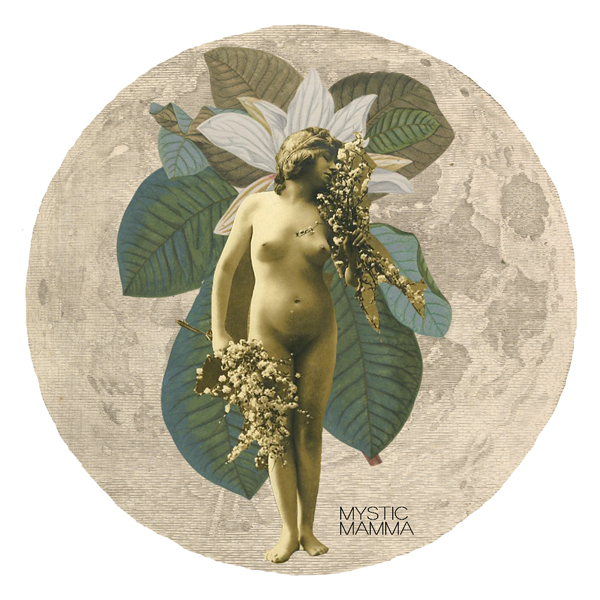 “The Full Moon is in Virgo, who is often depicted as an earth goddess, and maiden of the harvest…we’re invited to manifest with sure-footedness, from a real grounded awareness. “Virgo is a sign of presence, and one that observes the smallest details. A great expansion happens now from being here now — in your body, where you are. A great renewal comes from letting go of what keeps you from settling in, and knowing the power of presence. “What strikes to the nervous system cause you to escape from being present? This can be a time of clearing, simplifying and purifying. My sun is in Virgo and my ascendant is Pisces. Expect the unexpected! Thankyou :)I felt this full moon message to the core of my being. Thank you so much for this. Already feeling this full moon’s vibes. My inverse nodal return is being activated by this full moon, as well as my Part of Fortune (5°55′) & my 8th house of regeneration and support from others. I am SUPER EXCITED about the changes taking place in my life and the collective right now. Sending love and light to all of us.